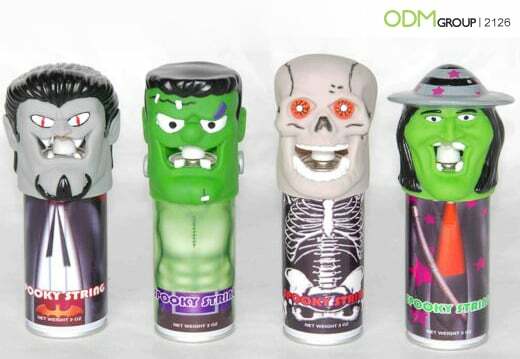 Battery-operated and portable, the products can be an ideal prop for parties and trick-or-treating. As such, running a promotion around the Holidays will make target customers, who normally would not buy this product at an ordinary day, make a purchase. Halloween Lanterns: Although a little spooky, kids will love the skull and ghost lanterns. Easy to carry design makes it a great alternative to flashlights when kids go trick-or-treating. The skull emits an eerie sound when switched on while the eyes and candle light up. On the other hand, the ghost lamp changes colors. Scary Door Bell: One press on the red button will make the door bells produce an uncanny sound. The tongue also sticks out and eyes light up for a more frightening effect. 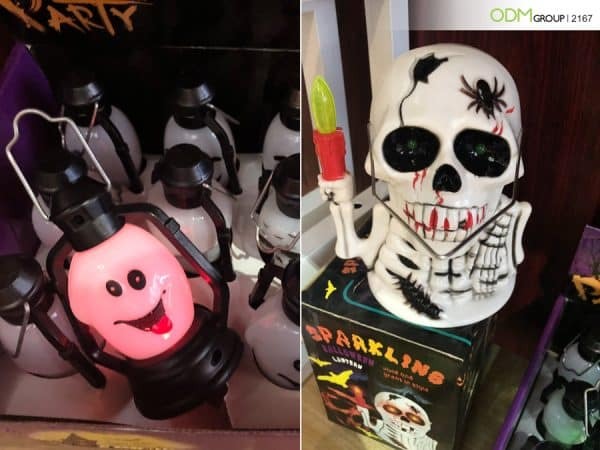 Available in two designs: pumpkin and skull, these are great as props for themed parties as well as for in-store displays. Halloween String Spray: Halloween parties are not complete without the fake webs on walls and ceilings. This string spray are unique in that they have custom shape heads attached on the actuator or button. This way, the heads look like spewing webs when pressed. As Customer Incentives: Brands can set up a loyalty program for shoppers before the Holiday and those who accumulated a certain point can get these products for free. Gift with Purchase: Perfect for kids products such as apparel, food, and drinks. Businesses can take advantage of the unique designs of the promotional gift to make their products more appealing to their target market. Collectible Promos: The string spray comes in four different designs, which makes it a wonderful collectible item. Brand managers can use their mascots instead of the spooky designs to bring their brand closer to their audience. You also have the option of printing your logo or brand name on each of the products. You can print your brand identity on the aerosol can and on the lower portion of the scary door bell. Interested in this product? 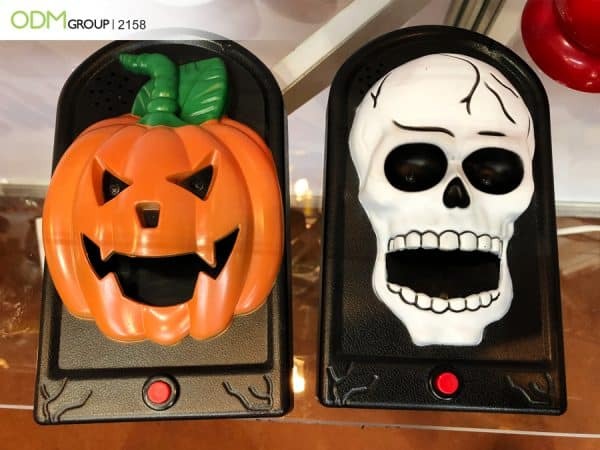 Get a quote by sending in a request with product code 2167 for the Halloween lantern, 2126 for the String Spray, and 2158 for the scary door bell. Our ODM team is always ready to assist you for all your promotional needs. You can also rely on us for quality product designs, brand packaging designs as well as POS display units. Contact us! Practical and unique, these pumpkin pens are ideal as office gifts or company giveaways. These voice changer toys are fun to use, not to mention, highly customizable. Why not package all these up in a Reflective Shopping Bag.